Maybe let the public decide, or let someone do the PJ? It would sure as hell look a lot cooler to have a Glasgow (inspired) livery instead of the London Underground one. Will the tunnel lights be off like the real ones (complete darkness )? I am installing tunnel lights at the moment. I have (during the last hour) placed them along three station-to-station distances in both tunnels. Would you like me to stop and not do the rest? You all like pitch-dark tunnels now all of a sudden? Continue, of course, but you should add a switch somewhere to turn the lights on (they should be off by default in order to be near reality). 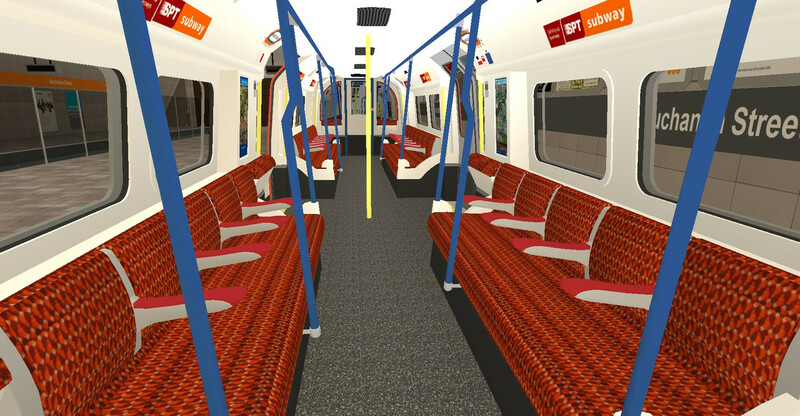 About the train; I have put SPT logo's on the sides (where the "Underground" roundel was), put Glasgow subway maps and banners on the inside, and upholstered the passenger seats with the Glasgow (as the youtubechannel "Londonist" would call it;) "Moquette". 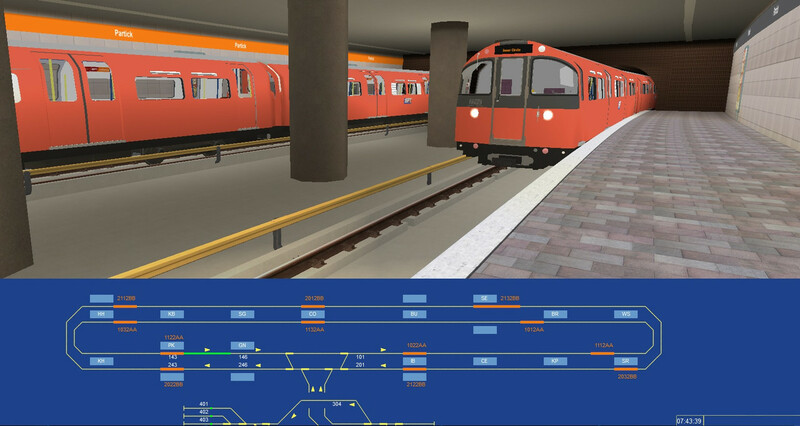 Not all stations are build yet, but the positions where trains should stop are already defined. So the first activity, the AI-Weekday, can go into production and testing (which also serves to test the CVL system and the CTD coding). The all-day timetable is (ofcourse) based on the real one; Start the service around 6:30, a train every 4 minutes during peak hours, every 8 minutes during off-peak hours, with a full circuit lap time ( ) of 24 minutes, last trains run between 23:16 and 23:40. Light switches have been placed at Govan. From here you can switch off the tunnel lights for the entire line, separate for the inner or outer loop. Having them off by default isn't a possibility, but you now have the option to switch them off yourself.